What will Nikon's upcoming full-frame DSLR offer? As it blew out the candles on its 100th birthday cake, Nikon announced that the D850 DSLR would shortly be with us. The company hasn't confirmed too many details as to what it will offer just yet, only that the model will offer "new technologies." Since then, leaked images purportedly of the new camera reveal a number of interesting things. Here's everything we know so far, together with rumours and our predictions. "The D850 will exceed the expectations of the vast range of photographers that seek the high resolution and high-speed capabilities that only a Nikon of this caliber complemented by NIKKOR lenses can offer." Given that Nikon has also promised the camera will be versatile enough for a wide range of applications, such as landscapes and sports, we expect something in the low-to-mid 40MP region here. In any case, it seems likely this will be a new sensor rather than an existing one. 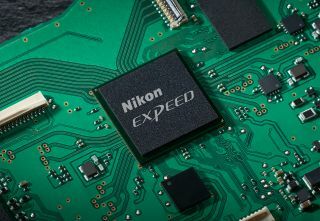 The fact that Nikon has confirmed the camera will offer 8K time-lapse capabilities suggests the camera will offer at least the same 36MP as before, given that a frame of 8K footage (in the 16:9 aspect ratio) totals just over 33MP. Anything rivalling the likes of the 50MP Canon EOS 5DS / 5DS R pair would place extra demands on the camera's processing system, which may compromise its ability to offer high-speed capabilities. If Nikon is able to deliver this, however, the camera's appeal would be massively enhanced. Of course, much of this is down to Nikon's choice of processing engine. The D810 came equipped with the company's EXPEED 4 processor, which has since been updated by the EXPEED 5 version, as used inside the D5 and D7500. Given that this is likely to have the highest pixel count of any Nikon DSLR so far, it's entirely possible we'll see either a new processor, or dual EXPEED 5 engines. The idea of having two processors would make sense if the model is to offer a very populated sensor with the promised high-speed capabilities, although quite what "high-speed capabilities" means right now is open to conjecture. This would mirror the approach of its rival Canon. Canon has equipped a number of models, such as the EOS 7D Mark II and EOS-1D X Mark II, with two of its DIGIC processing engines. Nikon has not stated what video specs the new model will have, although a teaser video uploaded to YouTube, that was captured on the model, is available at a 2160p resolution. This would appear to confirm that new camera will offer 4K video recording. It is possible this has been upscaled from Full HD footage, but this is highly unlikely. Looking at the most recent Nikon DSLR releases gives us some idea of what the model will offer here. The full-frame D5 and APS-C D500 and D7500 models each offer 4K UHD recording (3840x2160p), all at a crop factor relative to the full width of the sensor. Nikon has made clear that the camera will offer 8K time-lapse footage, but could it also offer 8K video recording? It's possible but it seems unlikely. 8K recording would require very advanced processing to be able to deal with this level of information, although memory cards that support 8K video are starting to make their way out. Given that the D810 was designed with both microphone and headphone ports, it's seems highly likely that both of these would be carried over here. It would also be very surprising not to see Nikon's Flat Picture Control, although a Log option would be very welcome too. Could the company's Multi-CAM 20K, 153-point AF system makes its way from the D5 and D500 to the D850? It certainly is possible, given that the D5 above it and D500 underneath it both feature it. The D810 arrived with a tried-and-tested Multi-CAM 3500FX 51-point AF system, and variations of this continue to be used, but this newer system – or something related to it at the very least – would make sense, given that Nikon has cited sports as one application for the new model. Nikon's current models already offer generously sized 3.2in LCD screens, so it seems unlikely that we'll see anything larger here. Indeed, trying to fit a bigger display would no doubt be impractical without making the body larger, or the controls smaller, which would disappoint many. Nikon's previous D800-series models haven't offered articulating or tilting LCD screens, but images obtained by nikonrumours.com suggest the camera will indeed offer the latter. Cameras in the D800 series have always boasted a much sturdier build quality than many other models in Nikon's line-up, and some photographers see a camera with a tilting LCD as a compromise to this. Nevertheless, for a camera that's expected to be on the market for some time, the lack of one may date it quickly next to models like the Pentax K-1 and Fujifilm X-T2. One thing we definitely expect to see is a touchscreen. There seems to be no logical reason to exclude this, particularly as it's been offered on the flagship D5 model. Nikon has been using a carbon fibre composite material in the panelling of many of its recent DSLRs, although we expect a more solid magnesium or aluminium alloy finish here, in line with its pro-level billing. The aforementioned leaked images also reveal backlit controls to help with low-light use. Given that these have already been incorporated into the design of the recent D5, their presence here makes sense. These images also show the inclusion of both Wi-Fi and Bluetooth, but suggest that Nikon has omitted a built-in flash, a feature included on the D810. This may concern those who want to wirelessly trigger flashes off camera, although this may still be possible in some way. How much does the Nikon D850 cost? Well, if we look at the price of previous models we can get an idea of what kind of price tag we'll be expecting to see. The D810 was released with a SRP of £2699/$3299.95. The D800 that came before it was initially released at £2399.99/$2999.99 before the UK price was bumped up to £2599.99, while the D800e ended up with an SRP of £2899.99/$3299.95. So, it would certainly be welcome to see the D850 below the £3000 price barrier, particularly as its closest rival, the Canon EOS 5D Mark IV, is still well above this. If we look at how camera prices have changed in recent times and the fact that the camera is likely to sport a new sensor – the development of which represents an expense on Nikon's part – we reckon a figure very close to the £3000 mark would make sense.